Total 8 game drives mainly by 9 seater open safari vehicle in Big 5 areas of Kruger Park. 2 nights chalet accommodation at a Main Camp in Kruger Park with dinners & breakfasts served in the privatised Camp restaurant. We use The Cattle Baron or Mugg & Bean restaurants & your guide will make arrangements. Visit to Private Safari Lodge with 2 further game drives in open safari vehicle. 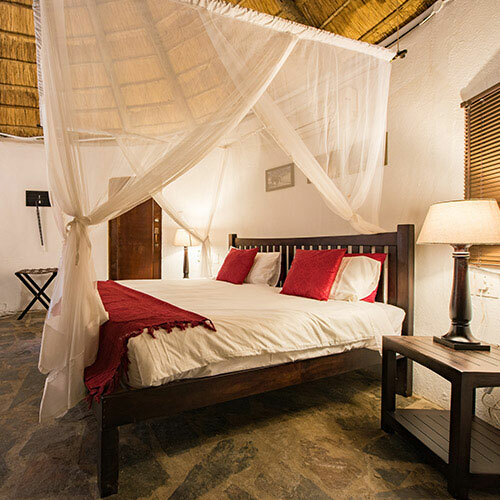 Superior en suite lodge room or safari tent and all meals. Overnight at a midrange hotel in Hazyview with dinner, bed & breakfast. 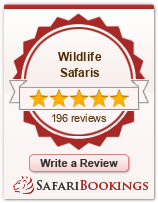 Wildlife Safaris is a SATSA member & one of the original Tour Operators to Kruger Park. SABIE RIVER BUSH LODGE for information and pictures. 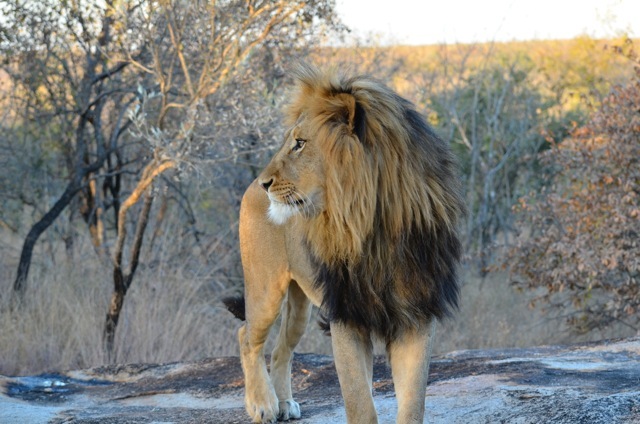 Leave Johannesburg in an air-conditioned microbus with an experienced Kruger Park driver / guide. Travel east across the Highveld farmlands and down the beautiful Valley to Nelspruit - capital of Mpumalanga province. 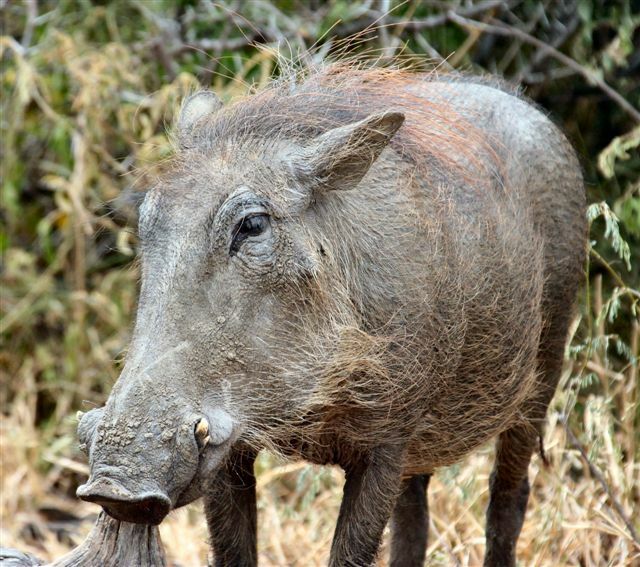 After a lunch break, get your cameras ready and enter southern Kruger National Park. Spend the afternoon on your first exciting game drive travelling through bushveld areas where you can expect to see antelope, giraffe and possibly elephant. Before sunset arrive at your Rest Camp and book into an air-conditioned chalet with private shower / toilet and screens over the windows to prevent insects. Your guide will arrange dinner in the licensed restaurant and walk back to your chalet under the starlit sky. Awaken at dawn and leave camp for an early morning game drive looking for lion and other Big 5 species (lion, leopard, elephant, rhino & buffalo). Stop at Lower Sabie if possible for breakfast and a great view of any hippos or crocodiles in the river. 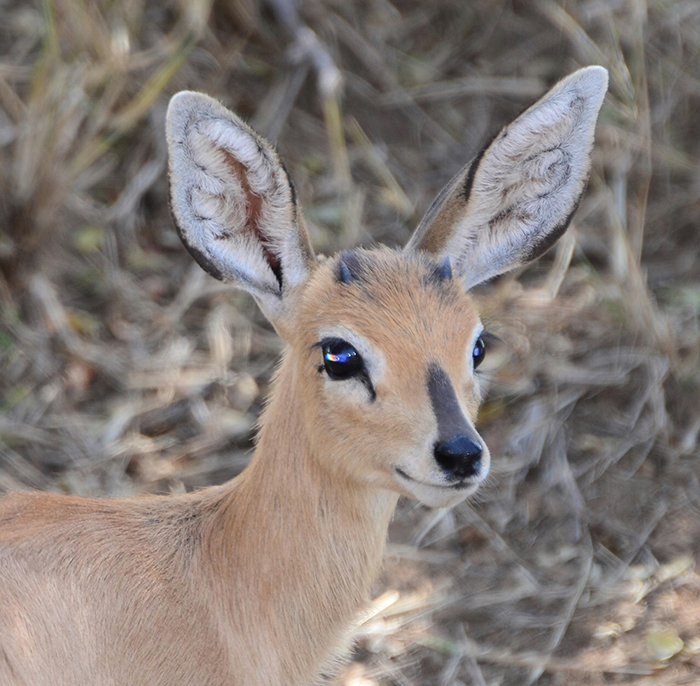 Continue on the next game drive travelling through the open grasslands so its easier to see smaller species. Return to your Rest Camp for a break during the heat of the day - time for lunch or a swim. Approximately 16.00 board the National Parks safari vehicle equipped with spotlights for a sunset drive (duration 3 hours) and a chance to see nocturnal species such as hyena or other predators. Your guide will collect you for dinner in the main camp restaurant and then return to your chalet. Depart on another memorable early morning game drive to look for elusive species such as leopard often found in trees. Travel north towards the open plains of central Kruger & stop for breakfast at Satara . Drive out of the Park and proceed to a Private Safari Lodge (Mohlabetsi, Shiduli, Chisomo or KuSungulu) near Hoedspruit. You can expect to find personalised service and a great bush atmosphere - book into an en suite chalet / African safari tent with aircon. Time to freshen up and then enjoy lunch in the garden. Approx 16.00 after a quick swim, board the safari vehicle for an evening game drive stopping en route for "sundowners". Return to the lodge for drinks and dinner often served in the boma around a campfire. Overnight listening to hyena or other nocturnal animals which all adds to a memorable experience. Join the armed ranger for an early morning game drive and for the birdwatchers it's the best time of the day to listen to the calls and watch birds feeding. Return to the lodge and join other guests for a delicious breakfast before departure. The rest of the day is devoted to sightseeing as you travel via Valley of the Olifants towards the spectacular Blyde River Canyon . 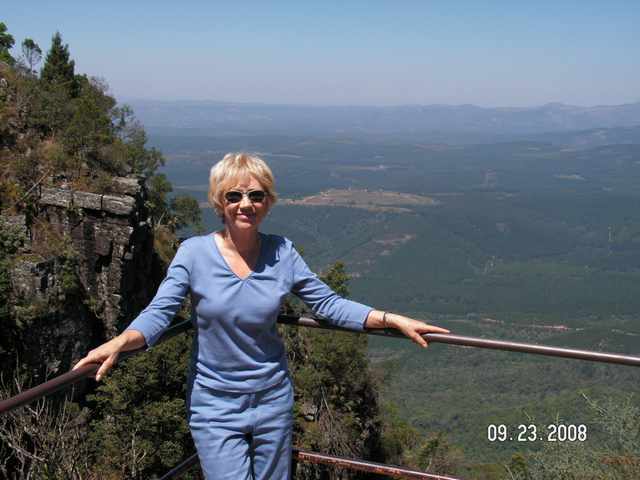 Visit 3 Rondavels then proceed along the Panorama route stopping at viewpoints and a waterfall. Browse around ethnic markets for curios. Drive down Kowyns Pass to Hazyview and book into Hippo Hollow hotel or river lodge for dinner & overnight. Enjoy a leisurely breakfast at the hotel and don't forget some final photos. Leave Hazyview for the return journey travelling past pine forests and sub-tropical orchards to Nelspruit then back up to the Highveld. Arrive in Johannesburg at O R Tambo International Airport or nearby hotels by 16.00. Please allow 1.5 hours connecting time for local flights or 3.0 hours for International flights. Passengers staying at hotels in the northern suburbs are advised to use the Gautrain to Sandton or make arrangements for a transfer.